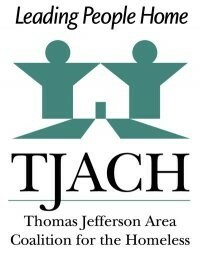 Two FCG Teams worked with the Thomas Jefferson Area Coalition for the Homeless over the last academic year. In the Fall of 2014 to Spring 2015, the FCG Thomas Jefferson Area Coalition for the Homeless (TJACH) Team worked to create a 53-question comprehensive survey collecting data on the homeless population of Charlottesville and five surrounding counties. The survey spanned a number of topics critical to advising homelessness service providers and advocates, including information regarding demographics, current living situations, employment status, health needs and received services. To ensure a more standardized process in survey administration, the TJACH Team developed a training protocol and powerpoint presentation for volunteers who would be conducting the survey at various places in the city during the two-day data collection period. Building off FCG’s first TJACH project, the second FCG-TJACH Team evaluated trends of Point-In-Time (PIT) surveys conducted over the past decade. Through data mining and quantitative analysis of past years’ findings, the Team developed infographic visuals for TJACH as a means of communicating the impact of various initiatives. Additionally, the FCG-TJACH Team developed recommendations for TJACH on data collection, presentation and maintenance standards for the future.